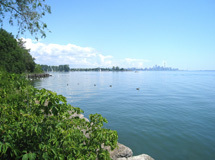 Mimico was initially developed as a recreational destination in the late 1890s with the building of summer houses along the waterfront for prominent Toronto families like the Loblaw and McGuiness families. Mimico is delineated into 2 distinct neighbourhoods by the CN Rail/GO Train line. The older part of Mimico is south of the tracks and today is being promoted by the local Business Improvement Association (BIA) as "Mimico-by-the-Lake" whereas Mimico north of the railway line is being marketed as "Mimico Village". 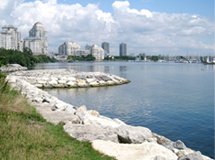 Mimico-by-the-Lake offers many fine old quality homes rivaling those in High Park and other affluent areas of the city. 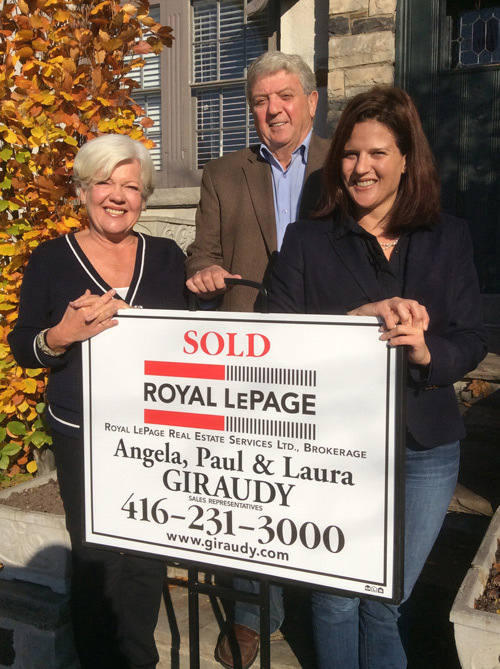 This community is of particular interest to buyers looking for homes similar to those found in Cabbagetown, Parkdale, Bloor West, and other older neighbourhoods in Toronto—but at very reasonable prices. Much of Mimico's housing stock was built during the 1920s and 1930s and reflects the nostalgic charm of that era with their solid brick exteriors, fine wood trim and leaded glass. Devotees of the Arts and Crafts movement will find many fine examples of that classic architectural style here. In addition, there are a number of well-treed streets with meandering boulevards providing for unique settings. Most lots here are wide enough to provide for private driveways. Mimico Village, however, is a newer area with most of its housing stock built or rebuilt during the 1950s through the 1990s. Today it is enjoying a major revival with a multitude of infill construction projects and extensive upscale townhouse and hi-rise condo apartment developmens. In terms of price, Mimico offers a whole range of housing, ranging from extremely affordable to some of the most expensive properties in the whole of South Etobicoke. Mimico is ideally located for commuters who work downtown. Not only does this community enjoy its very own GO Train station but it is served by the Lakeshore/Queen streetcar to downtown and the Royal York bus to the subway. The QEW is also close by. 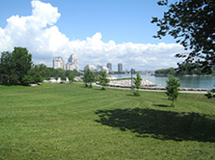 Furthermore, Mimico is a well-established lakeside community and is located steps to the exciting, newly-developed Mimico Linear Park and Amos Waites Park with swimming pool. And it's just a short walk to Humber Bay Park with its numerous waterfront recreational amenities such as the Etobicoke Yacht Club and Mimico Cruising Club. Best of all, from here it's only a short bike ride to Sunnyside and the Western Beaches! Traditional street shopping along Lakeshore Boulevard and Royal York Road is very popular with local residents. A new Value Mart and a No Frills are the 2 major grocery stores but there are numerous smaller independent stores including San Remo, undoubtedly the best Italian bakery in Toronto! Many local residents also enjoy shopping at the big box stores along the Queensway and at the trendy new shopping mall at the former Oshawa Food Terminal. Mimico is served by several public schools including Second Street Junior-Middle School, John English Junior-Middle School, David Hornell Junior School and George R. Gauld Junior School. French Immersion is provided at John English which is the main French immersion public school for South-East Etobicoke. Public secondary schools are Lakeshore Collegiate and the Etobicoke School for the Arts. Separate schools include St Leo's Junior-Middle School and the new Father John Redmond Catholic Secondary School and Regional Arts Centre located near Humber College and Colonel Samuel Smith Park.